When choosing a hotel for your Ireland vacation be sure that you consider all your transportation options. If you are not planning on renting a car while away, then you should choose a hotel property that is close to public transportation. If your vacation takes you to Dublin then you really do not need to rent a car. Driving is difficult and there are many buses or taxi’s that you can take. 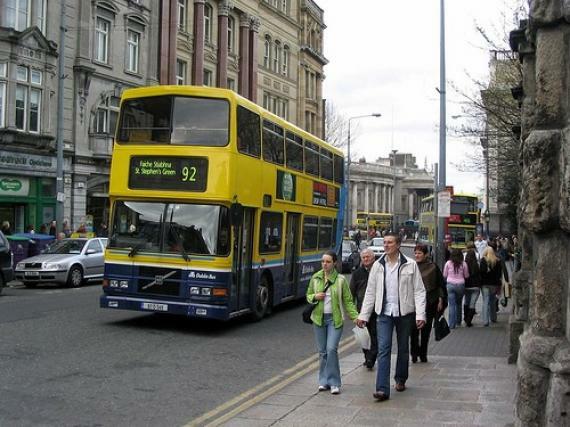 Dublin has tourist buses where you can jump on and off at different stops and it has scheduled bus services too. From the Dublin Airport you can take the city bus which makes a lot of stops but costs the least or you can take the 747 Airlink which is quicker but costs more. Dublin also has a trolley car system and a rail system in place. Dublin Area Rapid Transport (DART) is a basic rail system. This rail system runs North and South. It can be awfully crowded during the rush hour times. Shannon also has bus and rail services. The Shannon Airport is only 3 miles from the center of town so it is an easy commute. Shannon also has Ferry service available and can save you lots of travel time. Bicycle travel is also popular in Ireland, but this is not for everyone. You should know your limits and check with your doctor before signing up for any bicycle tours. If you are staying off the beaten path in Ireland then renting a car would be an option for you. Before arriving in Ireland be sure that you are familiar with the rules of the road. The most important thing to remember is that they measure in kilometers and not in miles. This means their speed limit signs need to be converted so you are sure to be driving safe and within the speed limit.